Fig 3 I did make because it was the most important. Not to sound sidetracked, but I'm kind of excited to see some strips with both Mana and David. you'd think african nekos would have round cat ears like lions and other big cats have. @Hero of Comedy: Lion=Shishimimi; Tiger=Toramimi. 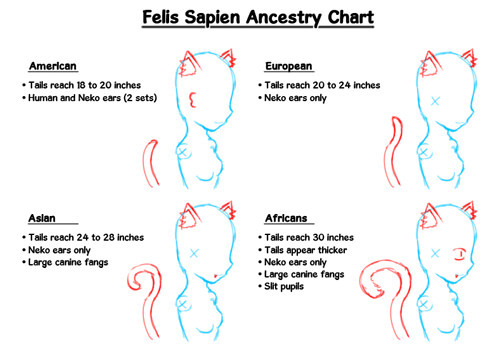 We're focusing on the kemonomimi of the Felis Domesticus. Just a little funny that Americans are the only ones with human ears. Very interesting though.